The only really good foods are those cooked in the sauce of love. Why Is It Called "Potluck"? Initially, potluck was mere happenstance but by the 19th century it had become known as a communal meal in which all participants contributed to the feast. (a)Strange News (1592), and the play Summer’s Last Will and Testament (performed in 1592 but not published until 1600). Why Do We Love Potlucks? Potlucks are no longer 'making do' with what is on hand. Simply put, they are Heaven on Earth for those who love to eat, and they are salvation for those who do the cooking. 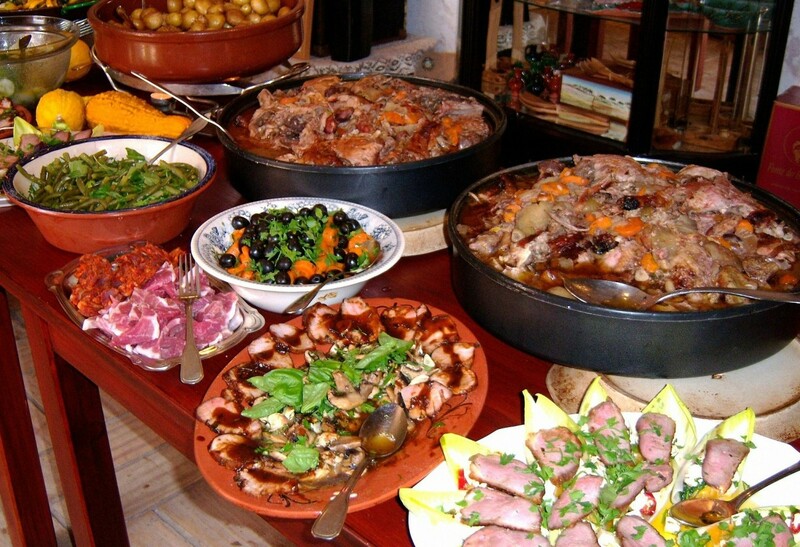 As the host of a potluck, you need not worry about the expense of purchasing all of the food for a crowd, or the labor involved in preparing the food. Potlucks make entertaining calm, casual, and carefree. A potluck party can be as small as two or three couples sharing a meal, or as large as the guest list for a multi-generational party, a club membership, a church gathering, or an entire suburban neighborhood. (1) Determine how many people will be invited. Proper temperature. 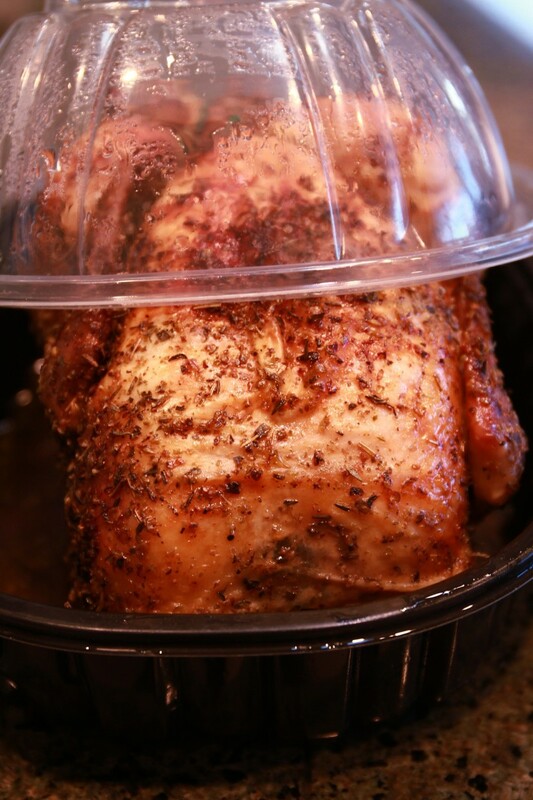 Ensure that hot foods are fully heated before packing them for transport. Likewise, insure that cold foods are completely chilled before placing them in a cooler. Do not rely on your ice chest to chill your food to the proper (safe) temperature). I use an insulated casserole tote to keep my "hots" steamy and my "colds" chilly. Don't co-mingle. Do not pack "hot" and "cold" food items together. Perishable food. There are some foods that are high on the list for risk of spoilage—meat, poultry, eggs, seafood, and dairy products. Be especially careful with these foods. It is best to not bring these to the potluck if you are traveling a long distance. This recipe has been around for as long as there have been slow cookers (crock pots). 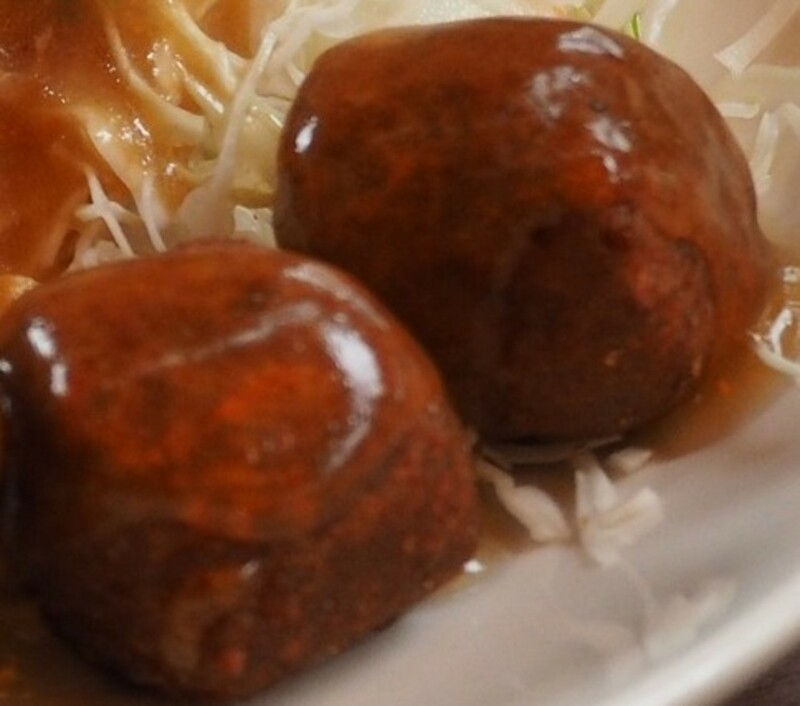 And now that precooked meatballs are available in the frozen-foods section at your grocery store there is no excuse to not make these even—only three ingredients. It doesn't get any easier than that. Add the chili sauce and grape jelly to a slow cooker. Stir to combine. Add the meatballs and stir to coat. Cover and cook on low for 4 hours. If you love the taste of corn dogs, you are going to love this easy recipe for mini corn dog muffins; they're a crowd pleaser, especially with kids. 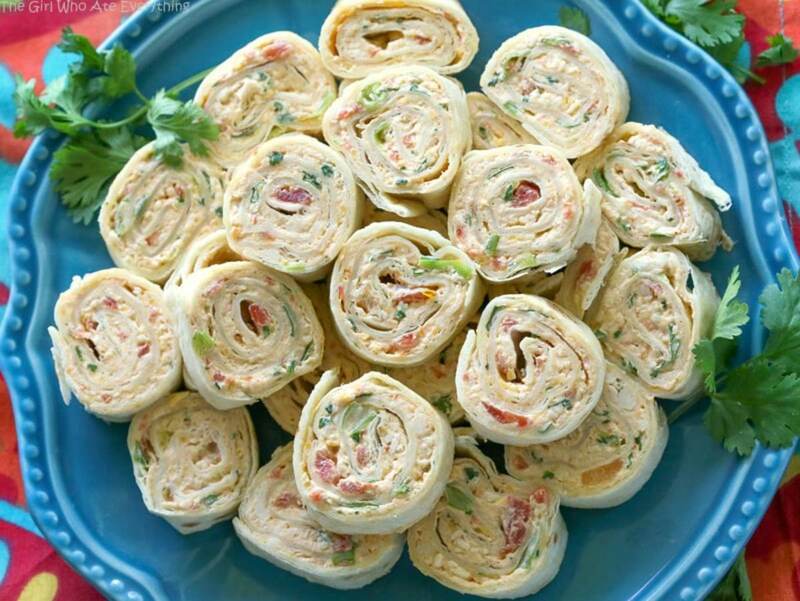 These chicken enchilada roll ups from TheGirlWhoAteEverything.com are a great appetizer, easy to make ahead and easy to serve. 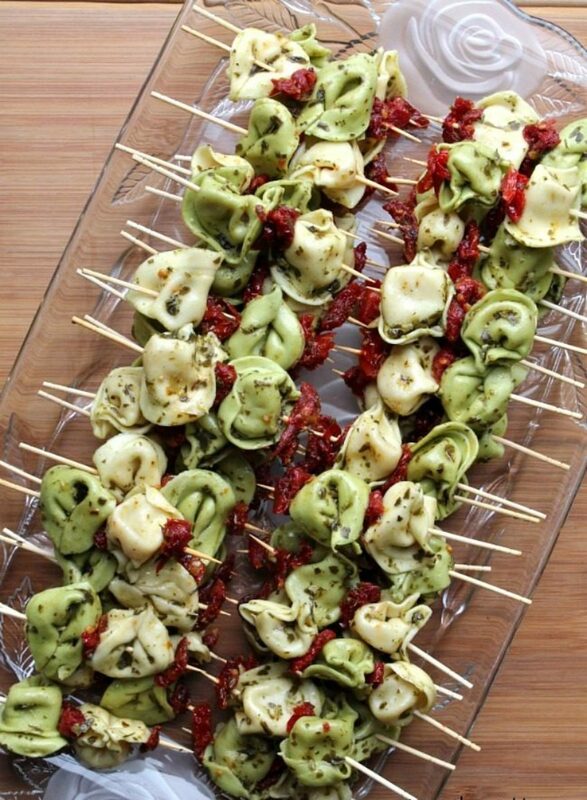 I found this pesto tortellini skewers at FoodySchmoodyBlog.com. Funny name for a great blog. These skewers can be served at room temperature or chilled, making them the perfect choice for potlucks, barbecue's, and brunches. 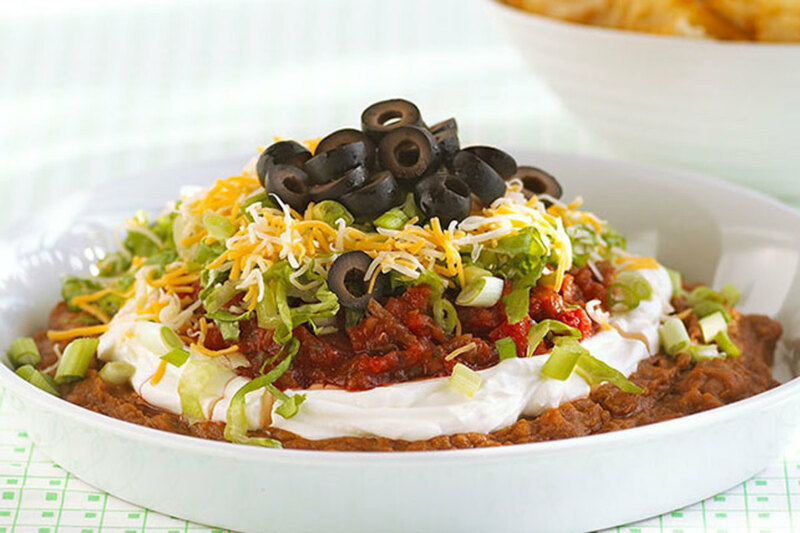 KraftRecipes.com has a great selection of recipes that are easy to prepare and economical like this ultimate seven-layer dip. Mix together oil, sesame seeds, and almonds. Sauté over low heat in small skillet until lightly browned. Watch carefully so that it does not burn. Set aside to cool. Once sesame/almond mixture is cool, stir in sugar, salt, pepper, vinegar, and contents of ONE Ramen seasoning packet. (Discard 2nd seasoning packet). Place cabbage and onions in large mixing bowl; pour almond/vinegar dressing over and toss to coat. Just before serving add crumbled Ramen noodles. Stir again and serve. 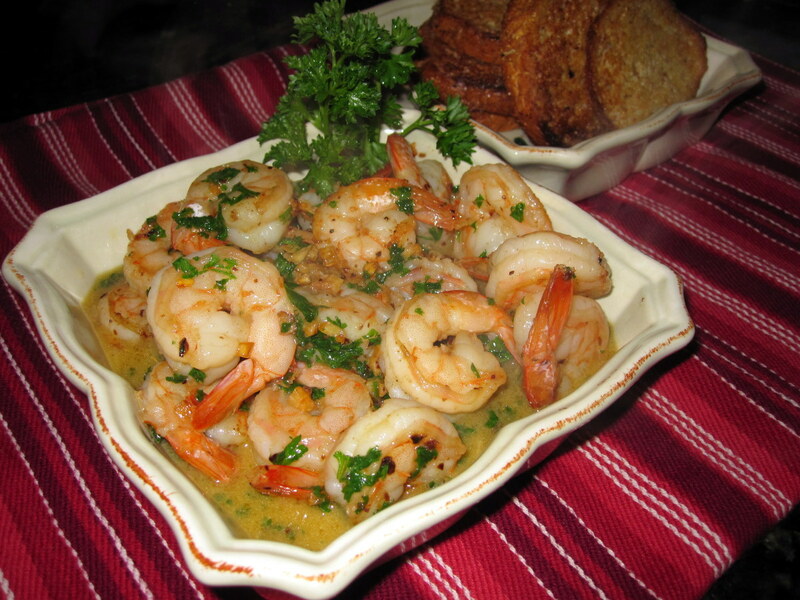 Cooked diced chicken or cooked shrimp may be added to the salad. One would think that a salad named for a green vegetable would be healthy, but most broccoli salads are undercover fat bombs loaded with mayonnaise, Cheddar cheese, and bacon. This slimmed-down version is adapted from a recipe that appeared in Cooking Light magazine in June 2002. Combine the first 6 ingredients (broccoli through cashews) in a large bowl. Combine mayonnaise, yogurt, sugar, and vinegar in small mixing bowl; whisk to blend. Pour dressing over broccoli mixture, and toss well. Chill for 1 hour. 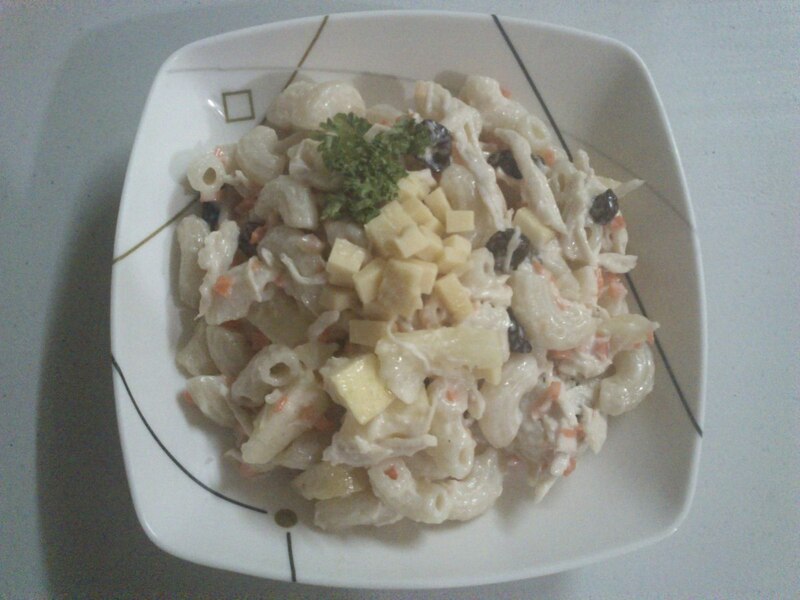 Combine first 8 ingredients (chicken through olives) in a large mixing bowl. 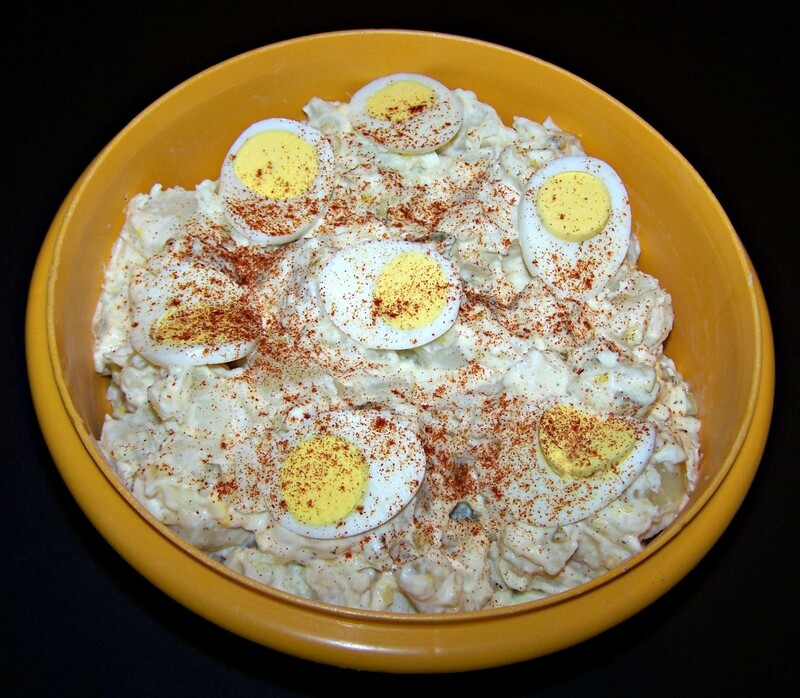 Whisk together mayonnaise, mustard, salt, and pepper in small bowl. Pour dressing over chicken mixture; toss gently to coat. Chill well before serving. 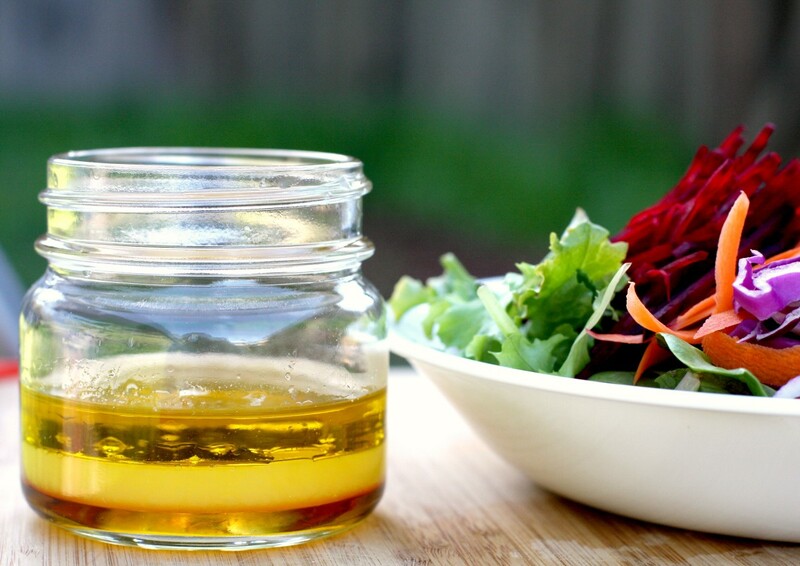 In small bowl whisk together vinegar and mustard until well blended. 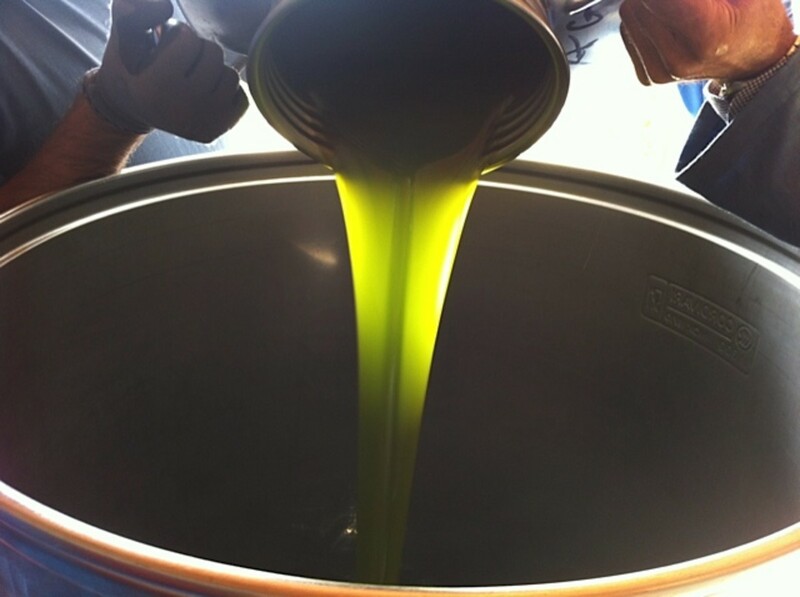 Beat in oil. Place remaining ingredients in large bowl. Pour dressing over; gently toss to coat. Cover and chill 1 hour. Place first four ingredients in the bowl of food processor. Pulse until smooth. Add onion, bell pepper and 1/4 cup of the parsley. Pulse until combined. Do not over-process (you want to have chunks of vegetables—not a puree). See aside. Melt margarine in a medium saucepan. Add flour and cook 1 minute; stir in milk and broth and whisk until well blended and thickened. Stir in ground sage, salt, and pepper. Remove from heat; set aside. Coat a 13x9-inch baking dish with cooking spray. Place 3 of the cooked lasagna noodles in the bottom of the dish. 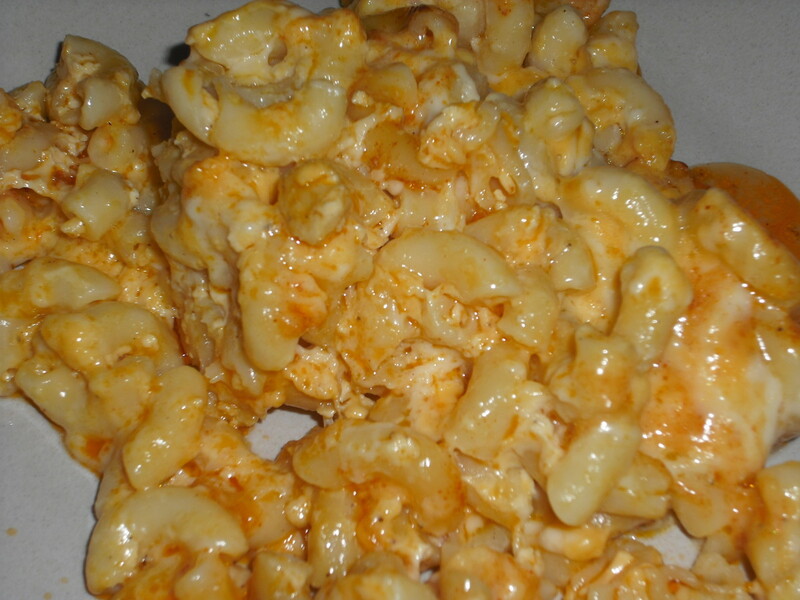 Top with half of the cottage cheese mixture, half of the chicken, and then half of the sauce. Repeat layering with 3 more cooked lasagna noodles, and then the remaining cottage cheese mixture, chicken, and sauce. 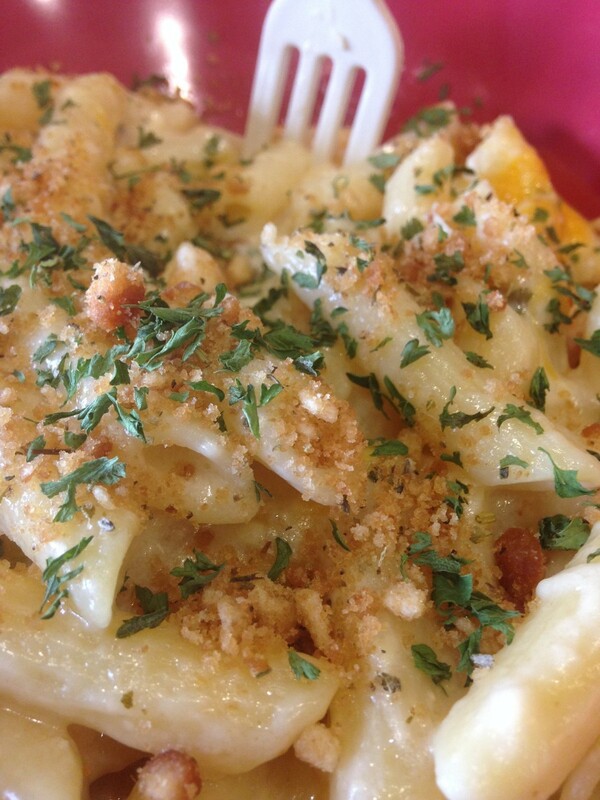 Combine bread crumbs and parsley. Sprinkle over casserole. Bake uncovered in preheated oven for 30 minutes. Stephanie O'Dea ia a New York Times best-selling author, creator of the blog AYearofSlowCooking.com, and the genius behind the concept of cooking hot dogs for a crowd. 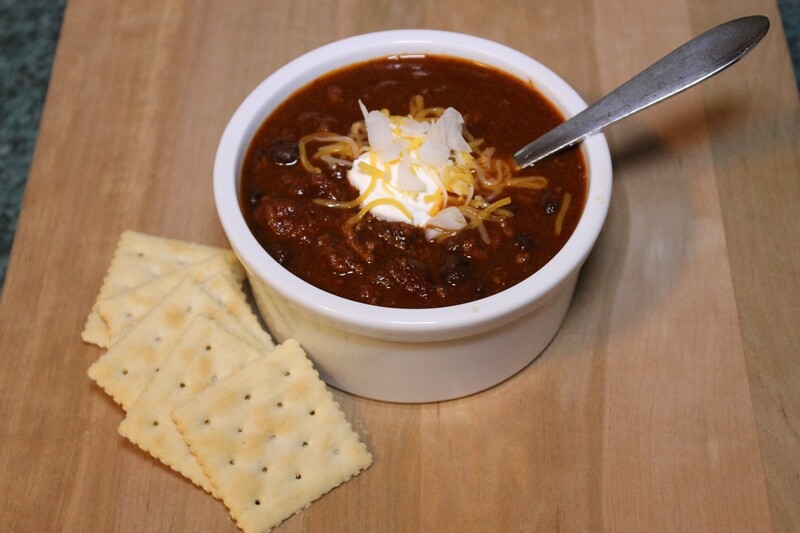 I created this recipe for Vegetarian Chili for my daughter who, almost 20 years ago decided to remove all meats from her diet. Instead of relying on commercially-made veggie crumbles (faux ground beef) I use finely diced mushrooms for their meaty texture and umami flavor. Cook cauliflower in large pot of salted water until tender (about 10 minutes). Drain and set aside. Over medium heat in a large open pan saute cooked cauliflower in 2 tablespoons olive oil until it begins to brown, about 5 minutes. Add drained stewed tomatoes and continue to cook for 1 to 2 minutes to meld flavors. Remove from heat and season with salt and pepper to taste. Melt 2 tablespoons butter or margarine in a saucepan over medium heat. Add flour and stir one minute. Whisk in cream; cook until sauce thickens. Add 1 cup cheddar cheese, the gouda, parmesan, and mustard and continue to cook until all cheese is melted and sauce is smooth. Whisk in sour cream and remove from heat. Season with salt and pepper to taste. Set aside. Cook pasta according to package directions until al dente. 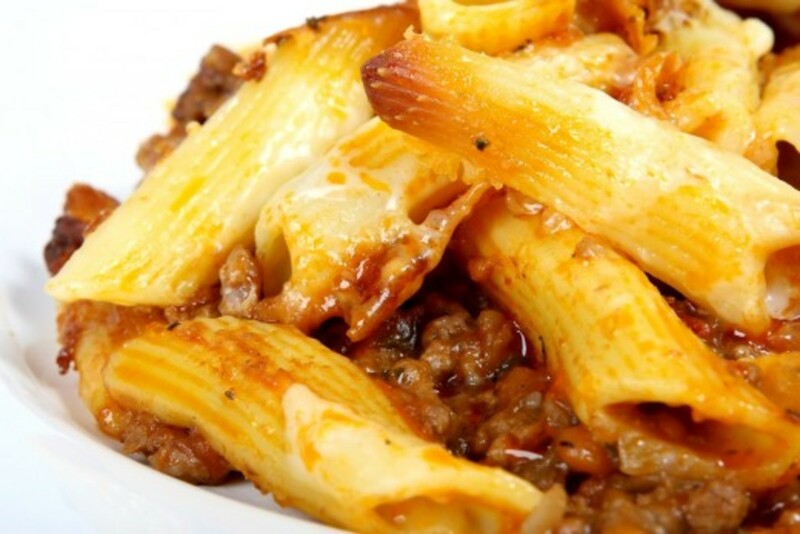 Drain, and return pasta to pot. 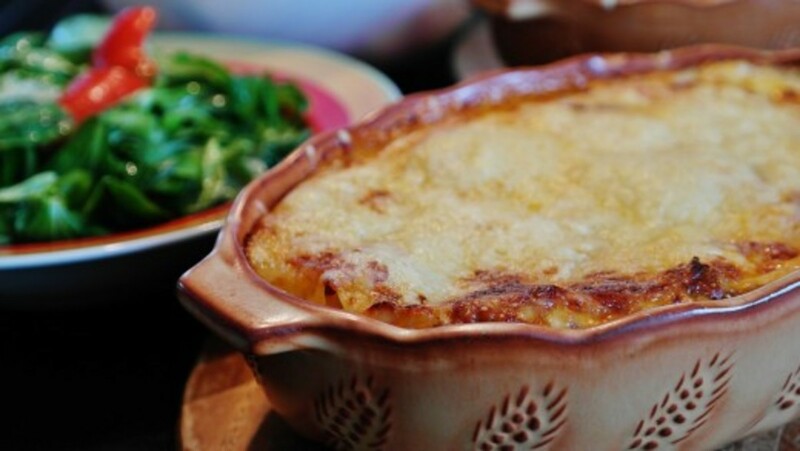 Stir in cheese sauce. Butter a large casserole dish and spoon in 1/3 of pasta mixture. Cover with one-half of cauliflower mixture and ½ cup of reserved cheddar cheese. Repeat layering, finishing with 1/3 of pasta mixture. Bake uncovered in 350-degree oven until heated through and bubbling, about 30 minutes. This recipe for chili macaroni casserole is embarrassingly easy. Should I even call it a recipe? I just know that it can be easily doubled (or tripled) for a crowd, and grownup and kids love it. Butter and flour a 9-inch square baking pan and set aside. Mix flour, 1 cup brown sugar, granulated sugar, 2 1/2 teaspoons of the cinnamon, salt, and ginger in a large mixing bowl. Add the oil and stir until mixture resembles coarse meal. Transfer 3/4 cup of the mixture to a small bowl. Stir the remaining 1 1/2 teaspoons of cinnamon into this reserved mixture and set aside. This will be the topping on the cake. Mix baking soda and baking powder into the remaining flour mixture. Add the apples. Whisk together the buttermilk and egg in another bowl. Add the buttermilk/egg mixture to the apple mixture and stir just until combined. Pour batter into prepared pan. Sprinkle reserved topping evenly over the batter. Bake until tester inserted into the center comes out clean, about 1 hour and 20 minutes. Remove from oven and place on wire rack to cool slightly. To make the icing whisk together the powdered sugar and apple cider and drizzle over the cake. In mixing bowl cream together butter and brown sugar until light and fluffy. Add eggs, one at a time, and mix until well blended. Stir in vanilla. Sift together flour, baking soda, and salt. Stir into butter/sugar mixture. Stir oats into the mixture. Spread 2/3 of dough into a greased 15x10-inch pan. To prepare filling place chocolate chips, milk, butter, and salt in medium saucepan. Simmer, stirring constantly, over low heat until chocolate is melted and the mixture is smooth. Stir in walnuts and vanilla. Spread chocolate mixture over dough in pan. Dot with remaining dough. PinkPiccadillyPastries.com is a fun blog full of inspiration for your next tea party. And that is where I found this crowd-sized recipe for carmelitas. This recipe has many iterations; some add bananas (yuck), some use maraschino cherries. But this cake, with gobs of chocolate, coffee, ice cream syrup, and whipped topping is (in my humble opinion), the best, the ultimate. And if you have ever seen the movie "When Harry Met Sally" you will know exactly what I'm talking about. 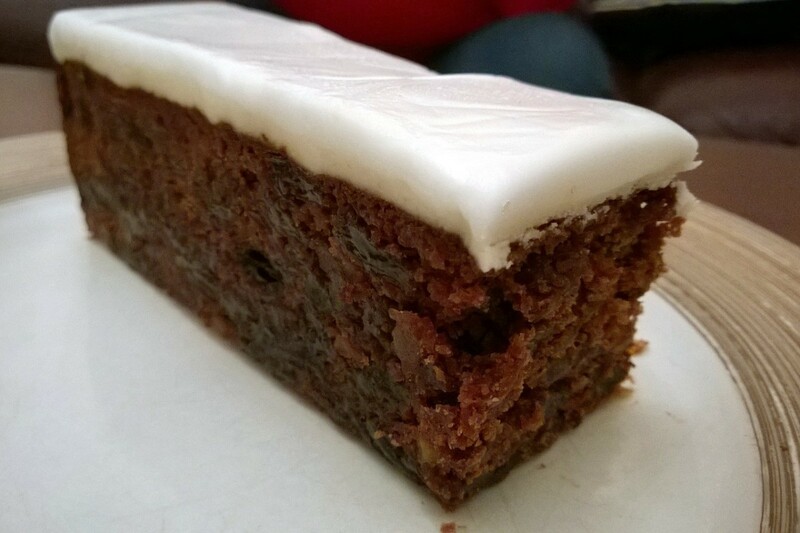 My favorite cake, my all-time must-have cake, the one I dream of, the one I request for my birthday is this sublime carrot cake. Honestly, if you love the people you with whom you are sharing a barbecue, picnic, or potluck, you need to make this cake for them! Grease and flour a 9x13-inch cake pan. Sift together the first 6 ingredients (flour through nutmeg) and set aside. Place the sugar, oil, applesauce, eggs, and vanilla in a large mixing bowl. Mix together with a spoon. Add the dry (flour) mixture, and then stir in the carrots, coconut, walnuts, and pineapple. Pour into prepared pan. Bake for 45 minutes. Cool and frost with your favorite cream cheese frosting. The addition of applesauce serves two purposes--first, it substitutes for some of the cooking oil. And the acid of the apples reacts with the baking soda to provide more lift (leavening) to this dense cake batter. Flaked coconut and pineapple provide some natural sweetness. Chopped walnuts contribute texture and a satisfying crunch. Bravewarrior - Thank you so much. I think any food that can be eaten without utensils is perfect for an outdoor picnic. I hope you give the mini corn dogs a try. Another group of yummy recipes! 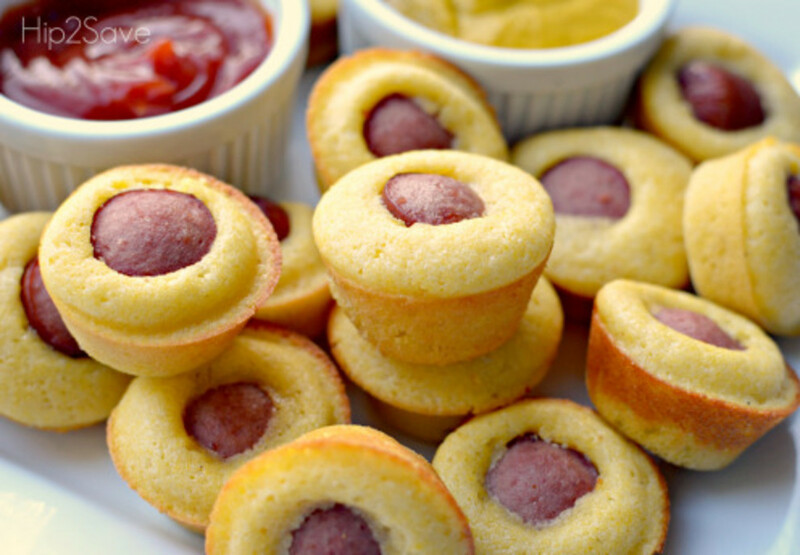 I love the corn dog muffins idea. Easy, and transports well while mingling at a party. No need to carry a plate around with you. I'm sure it's a huge hit with kids, too. Oh Lawrence, you make me smile. 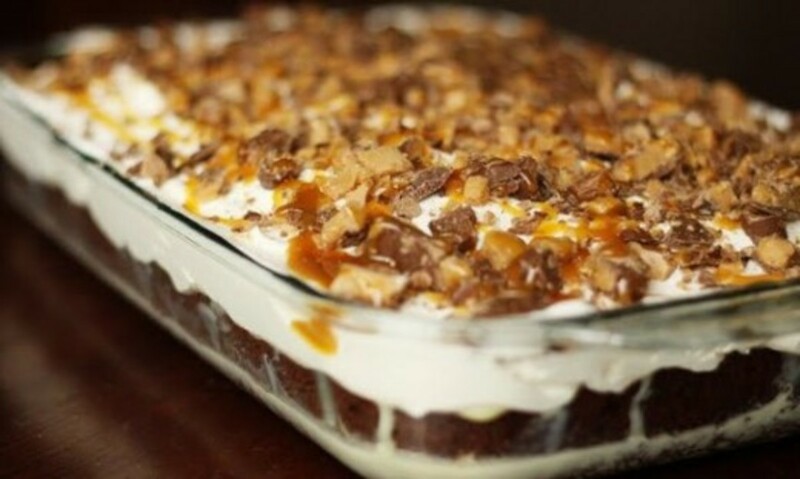 The only cure for that rumbly tummy is to make some of these recipes right now! If you do give any of these a try, please let me know. I always welcome feedback from my friends. Kyriaki - I am so glad that you found me, and that I was able to provide some recipes that you might enjoy. It is easy to prepare, inexpensive, and very satisfying when the weather is hot. Great recipes!! Thanks for sharing! I am definitely going to try out the Chinese salad... It caught my attention! Nancy M - I am glad that you like my collection of recipes. I hope you will get a chance to try some of them. Thanks for visiting. Pink Piccadilly Pastries - It was my pleasure. They look absolutely amazing. Thank you for such a well-organized hub and beautiful photos. 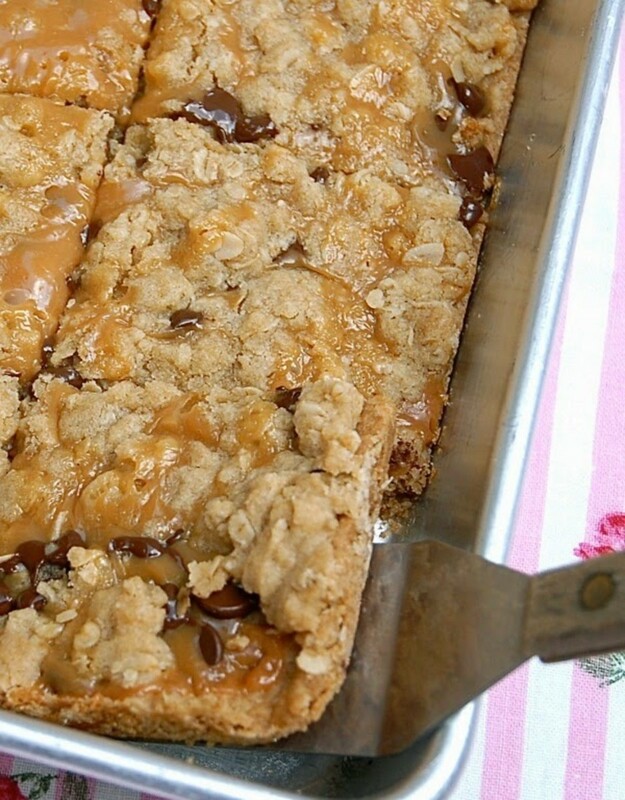 Thanks so much for including my recipe for Carmelitas! It is a definite crowd pleaser!! I look forward to trying some of these other yummy recipes!! Excellent collection of recipes! Thanks for sharing. Flourish - That makes me SOOO happy. Thank you so much and good luck with your event. Great recipes here. The parent booster group I lead has an annual potluck for incoming freshmen families and these are some terrific ideas that will please everyone. Hello DreamerMeg. I'm so glad that you like my collection. Blessings on your day! What an absolute treasury of recipes and ideas! I can use some of these without even inviting guests and I think Christmas might see some of these too. Thank you. Bill, you can't possibly get any smarter! Thanks for stopping by. Let me know if you and Bev try one of the recipes. Would love to get your feedback. It was my pleasure Eric and this was a fun hub to put together. The only problem is that looking through all of these recipes and selecting the photos makes me hungry. Linda this is great and I will definitely pick one for my next potluck. Hey that is really cool that you used my line like that. It makes me very happy.